If you’re sick of the cold, love areas with rich cultural and historical backgrounds, and have an independent spirit, consider moving to Phoenix. 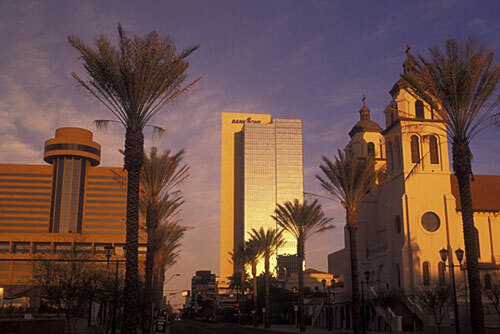 Nestled in the Valley of the Sun, Phoenix is awash with a diverse blend of Native American, Latin American, and Wild West cultures giving the city a unique identity that’s reflected by its population. Phoenix has EVERYONE: Californians, Mexicans, Native Americans, Midwesterners, and East Coasters. And best of all, they all brought their food and culture! Which Phoenix neighborhoods are most affordable? Which neighborhood in Phoenix is the best fit for me? How long is the commute in Phoenix? How’s the walkability, bikeability, and public transportation in Phoenix? Where can I find apartments and houses in Phoenix? How much will it cost to move to Phoenix? What’s fun to do in Phoenix? And if you’re looking for more info on moving to Phoenix, check out our Phoenix move cost guide. With a population of 1,615,017, Phoenix is the 5th most populous city of the United States in 2018. With an average one-bedroom rent of $904, Phoenix is the 39th most expensive metropolitan area in the United States. That’s a seriously great ratio! So, there’s Phoenix…and there’s greater Phoenix. Many pockets in the “Valley of the Sun” metro area have unique styles and characteristics for every lifestyle. Check out DTPHX for detailed info on the cities that we’ll be talking about shortly! And here’s an aerial tour of the city to help you get a feel for its general vibe. The Phoenix metro area has a lot to offer because, well, it’s huge. The Phoenix-Mesa-Glendale Metropolitan Statistical Area (MSA) is home to over 4 million, making it the 6th largest Metropolitan Area in the nation by population. Below is a rental cost hotspot map for Phoenix and some of its surrounding neighborhoods. The darker the green the more affordable the area. Neighborhoods like Laveen Village, Desert View, and Central City are the most expensive with average rents in the $1,200+ range. Paradise Valley, Encanto Village, Estrella Village, and Camelback East Village are slightly more afforadable areas with rents averaging around $1,000. For the budget minded, North Mountain, Maryvale, and Alahambra are cheaper neighborhoods with average rents in the $700-$800 range. Where Are People Like Me Living? Esri.com’s ziptapestry tool provides a unique demographic cross-section of what a specific area is like. For instance, plugging in the zip code for Chandler (85225) will show you a list detailing the dominant types of people living there. It’s really cool. What’s the average Phoenix commute like? Car: Phoenix has one of the nation’s largest and fastest growing freeway systems. The city ranks 43rd among large US metro areas for traffic, so it’s not nearly as bad as cities like Los Angeles or Atlanta. If you do plan to live in popular areas outside the city like, Gilbert, South Tempe, North Scottsdale, or Desert Ridge, expect heavier traffic and longer commutes during peak times. Light Rail: There’s an app for that, because of course there is. Plan your trip online at Valley Metro or with the trip planner Ridekick. Phoenix also has bus routes that you can find here. There’s also a “park-and-ride option,” where you can park your car in the lot for the day and take public transportation. Bottom line: Whether or not you need a car in Phoenix depends mostly on where you live. The closer you get to the city center the easier you can get around without wheels. If you plan on living in areas outside downtown a car will likely be a necessity. Having a car with working AC will particularly come in handy during those hot summer months. Not a fan of mechanized transportation? Phoenix is the 31st most walkable city of its size in the country. That’s fairly average, but getting around the city by foot is definitely doable. 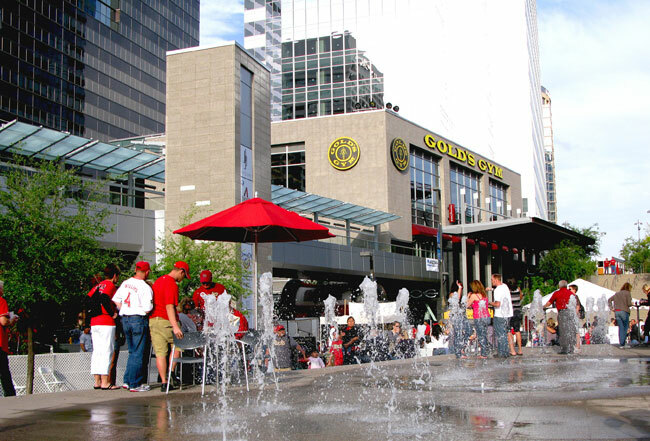 Walking: The most walkable areas of Phoenix include Downtown, Booker T. Washington, and Washington Mall. Generally, the further you get away from the center of the city, the more heavily you’ll need to depend on cars and busses. Biking: The city of Phoenix has been beefing up its bike routes quite a bit in recent years, and they’ve got the bike score to prove it! Aside from the hot summer months, many people actually find it preferable to bike around the city rather than walking and driving. Long Answer: some parts are extremely safe. Others…not so much. Phoenix ranks a 10 on the Crime Index, on a scale of 0-100, with 100 being the safest. To the left is a crime map of the city. The bluer the better, the greyer the more crime there is. You can see that the most crime happens in East/South Phoenix. In Center City and the neighborhoods we’ve been discussing there’s barely any crime, and the farther we get out, the more it lessens. Straight to the point: Avoid South Phoenix, Maryvale, Guadalupe, and what’s called “The Square” in North Phoenix. The Square is bordered by Union Hills, 32nd St, Cave Creek, and Greenway Road late at night. Otherwise, you should do alright. First off, an apartment in Phoenix must have air conditioning (duh). The summers get very hot, with highs reaching into the low 100s. Scorching hot. fry an egg on the sidewalk hot. Another must-have is a washer/dryer. Laundromats are few and far between, and they’re pretty sketchy. You’ll want to make sure your apartment budget includes how all the air conditioning is going to impact your average electric bill too. Here are some good websites to find apartments. Use the sort functionality to drill down on your desired number of bedrooms, budget, etc. It might surprise you, but Craigslist is actually a very useful site for finding apartments (especially places whose owners/landlords are desperate to rent out). The average rent in Phoenix athe the beginning of 2018 was $1032 per month, which is a 0.48% increase from the previous year., compared to an increase of 2% in the United States as a whole.In addition, vacancy rates in Phoenix are 7.6%, compared to 5.85%% in the rest of the country. Basically, Phoenix is a great place to rent right now. It’s very cheap relative to its size and population, its average rent is increasing slower than it is nationally, and there are more places to choose from. Here are some links to things you should know before moving so that a landlord can’t hoodwink you. Gilbert is considered to be one of the fastest growing suburbs, though it’s maintained its original small town feel. Gilbert offers some of the most affordable housing in the Arizona area; great green spaces (which is rare in Arizona) and quiet safe neighborhoods with very little crime. Gilbert has great schools from elementary to high school and is a nice place to raise a family. It’s also still within bus limits. To search for houses to rent in Gilbert, click here. Scottsdale’s got a rep for their pristine and culturally lavish residential atmosphere, but the best of the best comes at a pretty penny. Scottsdale 4k drone aerial video by Noble Prouction Studios from Noble Production Studios on Vimeo. There are several great elementary, middle and high schools in town. It’s a great place to raise a family while still keeping the nightlife elements for after the kids go to sleep. To search for houses to rent in Scottsdale, click here. Apart from the partying, Phoenix has something for everyone in every season including (but not limited to) hipsters, nature people, family folks, and art aficionados. For starters, you’ve got tons of hiking. Look out any of your windows and you’ll probably see a mountain. Finding a nice time to go shouldn’t be a problem either since 8 out of the 12 months in Phoenix are delightfully sunny and 75. Camelback Mountain and Piestawa Peak are just a few with amazing views. Once you’ve had enough fresh air, go visit the Phoenix Art Museum. The Southwest’s largest fine art museum features a collection of contemporary work and global masterpieces. Visit Wednesdays from 3 p.m. to 9 p.m. during voluntary donation time, or the second Sunday of the month from noon to 5 p.m. for Free Family Sundays! If you’re in the mood for more culture, take a walk down to Roosevelt Row: the creative heart of city. Roosevelt Row is home to galleries, mural-splashed business walls and a monthly art walk. This art district is also home to First Fridays — a vibrant art walks in downtown and midtown Phoenix happening on the first Friday of every month. It fills the city with street art, live performers, gallery exhibits, food trucks, and passionate locals. Phoenix also boasts an impressive number of professional sports teams including the Arizona Diamondbacks (MLB), the Arizona Cardinals (NFL), the Arizona Rattlers (AFL), the Phoenix Coyotes (NHL), the Phoenix Mercury (WNBA), and the Phoenix Suns (NBA). College Scene: First stop if you want the college scene will be Mill Ave, the hub of downtown Tempe and steps from Arizona State University’s main campus. There’s tons of great college bars here, like The Vine, Cue Club, and Zuma. Hangout Bars: For a more causal drinking experience, the greater metro area has a ton of bars with a much more relaxed vibe than you’ll find on Mill Ave. If you’re looking for a local dive to see some live music, check out the Yucca Tap Room. Or, if you’re just wanting to grab a beer and a bite to eat Boulders on Broadway and Casey Moore’s are great options. Breweries: The growing microbrew trend has absolutely exploding in Phoenix, giving you a plethora of options when it comes to locally-brewed beers. Four Peaks Brewing Company, North Mountain Brewing, Sun Up, and Mother Bunch Brewing are just a few of your many options for supporting Phoenix-based brewmasters. Luxury Scene: Scottsdale is the place to be seen. Known for its expensive aesthetic, don’t expect a cheap night on the town. Enjoy a cocktail at Counter Intuitive, featured in PHOENIX magazine‘s ‘Best Of’ issue, or get the Hollywood feel at The Mint, one of the most glamorous places to dance the night away in Scottsdale. Anyone and Everyone: Phoenix offers a vast array of hangouts, so try out any of the options around the two block CityScape complex, or head down to Culinary Dropout at The Yard for live music, good food, and fun. Oh, and Casinos: Phoenix has lots of them. If you want to get an idea on the cost of different moving services, check out our moving cost calculator. You also may want to have a glance at our moving out of state guide for more info and tips to consider when making a long distance move. 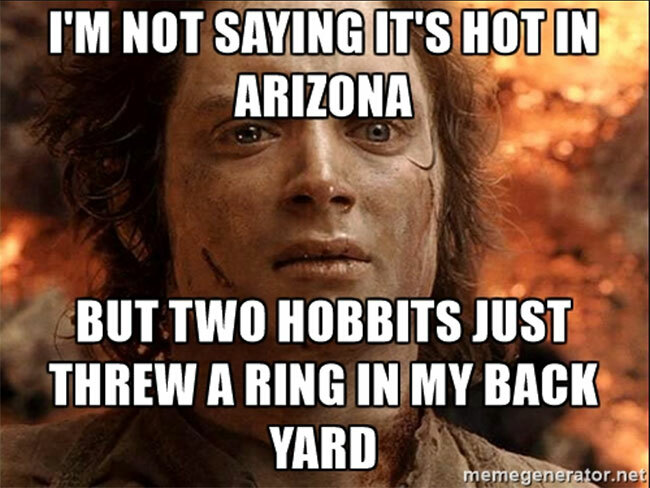 The heat is always something to consider when moving to Phoenix. You’ll want to ask your moving company about climate control options for moving. Things like fine wood furniture, instruments, art, and electronics are susceptible to heat damage. If you plan on storing some stuff you’ll definitely want to consider climate controlled storage. Here’s a list of items where climate controlled storage is advisable. Phoenix has wide, modern streets so parking a moving truck usually isn’t a problem. Typically, overnight parking of moving trucks is allowed as well. You still want to check with the city and local Home Owner’s Association to make sure there are no additional regulations. Your best bet is to contact the city ahead of time and make sure no permit is required. If you’re going to be blocking the street it’s likely a permit will be required. Though Phoenix doesn’t have a separate wage tax, the city has a 2.3% incline on sales taxes, making the combined sales tax rate 8.6%. Driver’s Licenses: If you’re from out of state, you must apply for an AZ driver’s license immediately. You can do this in person or online at the Bureau of Motor Vehicles and you may be required to take a vision test. Vehicle Registration: you must register your vehicle immediately upon moving. Find steps on how to do that here. Voter Registration: You can register to vote when you apply for your AZ driver’s license, by mailing in a voter registration form, or in person at the County Voter Registration Office. Trash & Recycling: find your neighborhoods trash and recycling schedule here. If you want to meet some people or just need new friends, try a MeetUp group or the Phoenix subreddit. What Is The Cost To Move In Phoenix?